One-sided conversations are the worst. Just picture it; being stuck in the corner at a party with someone who just talks about themselves and shows no interest in what you have to say -- if they let you say anything at all, that is. It's the most annoying oxymoron there is and unfortunately, it's still one that is rampant in the inbound marketing world today. As a brand or business, no one wants to hear about you or your product, especially when you're trying to sell it to them. Buyers only want to hear about what's in it for them when it comes to marketing. They want to know what value you bring to their lives over everyone else, but frankly, explaining this isn't really something that comes naturally to every marketer. In the article below, I'm going to share an easy step-by-step process to help make it a lot easier. From your pricing page to your emails, use this process to stop talking about features and starting highlighting benefits in your marketing copy. After all, you there are ways to talk about yourself, without talking about yourself. This is the process for extracting benefits from features that was outlined by our friends over at CopyBlogger. You can apply it to nearly anything that you want to sell (or give away), so give it a try with your product or service. To help illustrate things simply let's use HubSpot's marketing software as an example. From here, I'm going to narrow it down to website platform, lead management, and marketing automation as these are usually the most expensive software/tools when purchased separately and they encompass many of the other services. Website Platform: HubSpot's website platform ties your content into a full-funnel marketing system, optimizes it for SEO, adjusts the design for mobile devices, and allows you customize it for specific audiences. Lead Management: This feature allows you to store, segment, and score your leads based on their behavior on your website and elsewhere online, in order to optimize your sales approach based on your lead's score. Marketing Automation: HubSpot lets you set up triggers that automate email campaigns for lead nurturing and sales that move your leads through your marketing funnel. As the great copywriter, Eugene Schwartz once explained, benefits are the “functional product” or what your product/service actually does for your prospect and the reason they buy it. By describing each feature in detail as I did, you will understand on a deeper level, what each feature brings to the table for a prospective buyer. Rather than focusing purely on the physical product, you'll start to get down to the actionable benefits that come with it. How do your features relate to your persona's pain points and goals? If your brand already has customers, take a look at actual reviews, comments, emails, and any other user-generated feedback that you've received regarding each feature. What are your customers saying they love about your product? How are they actually using it? What do they still desire? Website Platform: A marketer could recreate this feature on their own with Wordpress and several plugins, but they would need to take the time to set everything up and learn how to use each one individually before they could figure out how to integrate everything. Through HubSpot, everything someone would need in one place and makes the entire process easier and more affordable for them. Marketers want a setup that is quick and easy. They're not in the business of publishing and managing content, so it shouldn't take up most of their energy. Lead Management: Again, a buyer could take the time to set this up and integrate it into their own CMS with several different software, but it is complicated and expensive. Marketers want to have full control of the lead management process. They want their leads to have the best experience possible, with as little hassle as possible. Through HubSpot, they get this without all of the complicated integrations, and leads are readily available for use in email marketing, workflows, etc. Marketing Automation: Once again, the software needed for marketing automation can come with quite a hefty price tag, but with HubSpot you get this and more under one simple plan. HubSpot's marketing automation unites all different points of the sale's cycle and tactics in one place, making it easier to manage and also allowing more interaction between your activities. Step 4: Ask yourself, "How does this feature connect with my persona emotionally?" Appealing to the emotions of your prospect is marketing 101. No matter what anyone tells you, no matter how logical they say they are -- emotions play a role in their purchasing decisions. That's why tangible benefits resonate in a buyer more than a cold, static list of features or services. Website Platform: Customers are relieved that they can create great content for their persona, without having to worry about making mistakes that could hurt their SEO. They feel empowered being able to design and customize their website on their own and having all of their essential features right at their fingertips. Lead Management: They can feel confident in their lead generation process and the hand-off from marketing to sales. They are happy that they didn't have to hassle with setting up complicated software. They feel organized and well-prepared with their ability to create lists and see every detail of their contact with a few clicks of the mouse. Marketing Automation: They feel more financially secure for getting the all of the features they want in one affordable package. They feel less stressed because they have a set up that practically runs on its own and feel better equipped for success. Hassle is an emotionally-charged word that implies: time-consuming, frustrating, annoying, and low ROI. HubSpot's software reduces hassle by eliminating the little annoyances of buying, installing, and maintaining easily 10+ separate services. It's all-in-one "hub" is convenient and easy-to-use. Power is another emotionally-charged word, especially when your persona is a marketer. It implies control, high profits, and high performance. If you're going to invest in marketing software, you want the best and most powerful software you can get. HubSpot wants you to know, that's them. After all this talk of hassle and complicated features, HubSpot's persona is likely starting to thinking it's too good to be true; it can't be nearly as easy as they claim. But it is. HubSpot's got your back with a huge library of resources and knowledgeable support staff just a call away. This not only reaffirms someone's decision to invest in HubSpot's software, it removes any further worry. Whether we like it or not, there is always an emotional response when spending money. 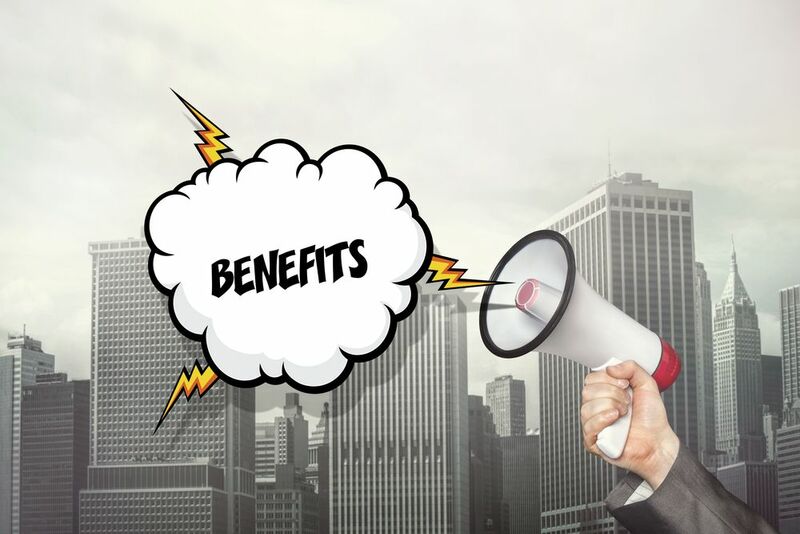 By aligning your benefits with one of the areas above, however, you will help showcase your product in a positive emotional light, in turn making your prospects more likely to make a purchase. Now, the point of this article isn't to convince you that features don't matter, they do, but they should not be the main selling point of your messaging. The average consumer attention span is more limited than ever. You have to lead with something truly enticing to hook people into reading your pitch, and the easiest way to do this is to strike an emotional chord. If you can make people feel something for your brand, you will be well on your way to not only to a new customer but to a loyal evangelist.